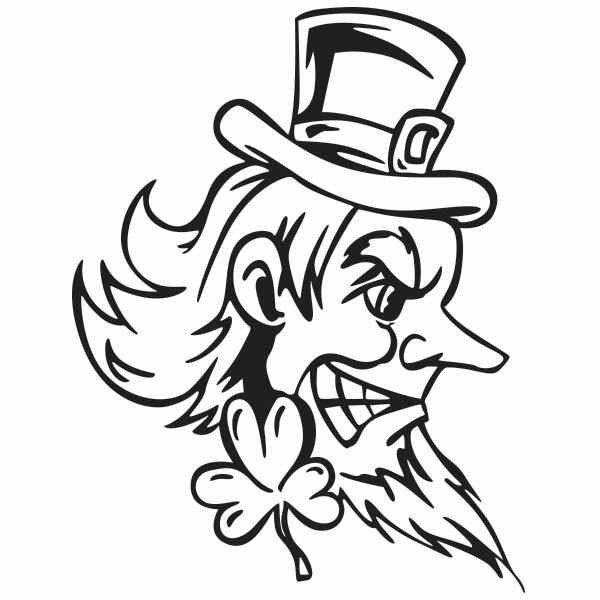 Looking for a custom Irish tattoo? 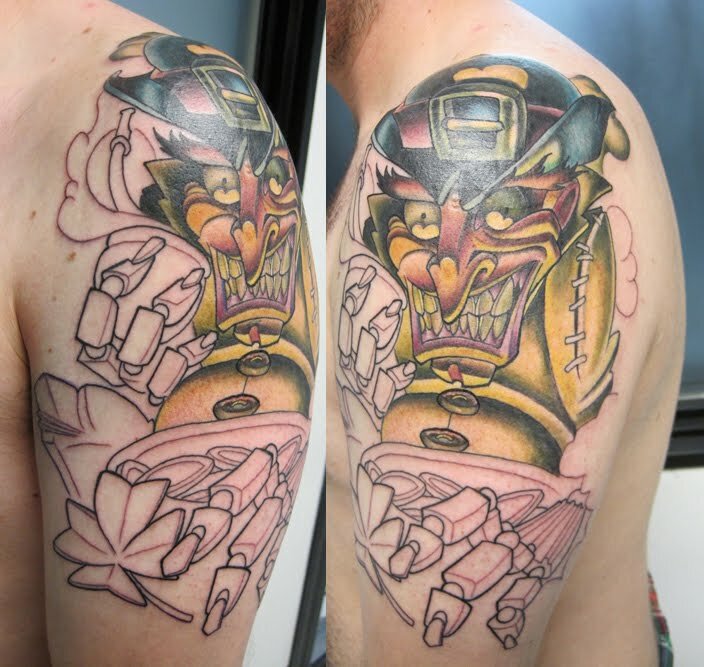 Here you will be provided a list of notable men’s tattoo. 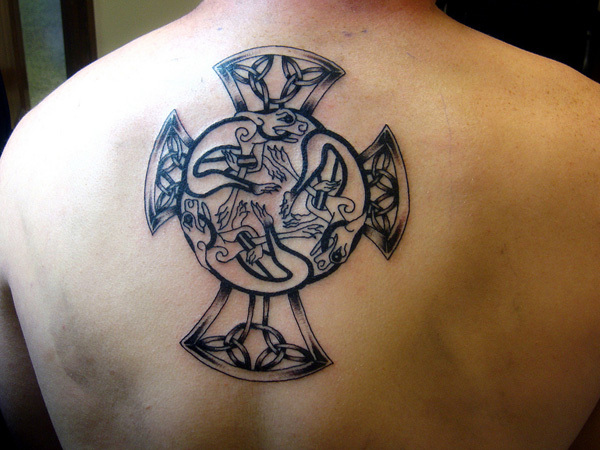 An Irish tattoo designing is mingled in their culture. 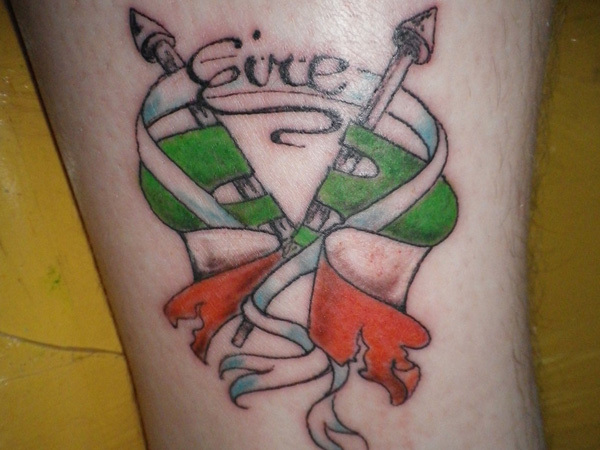 Irish flag colors are greatly desired in tattoo designing. It shows their patriotic loyalty for the country. 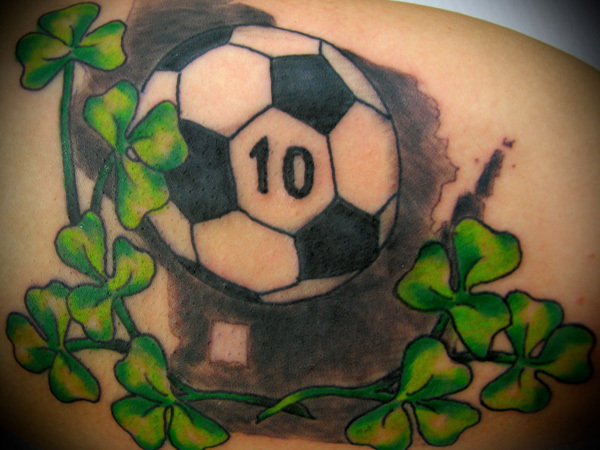 Irish tattoos include the fantasy creatures, the luck symbols, the Irish flag, the religious ideas, the images of football as their favorite sport and much more. These may be simple or intricate, abstract or objective. 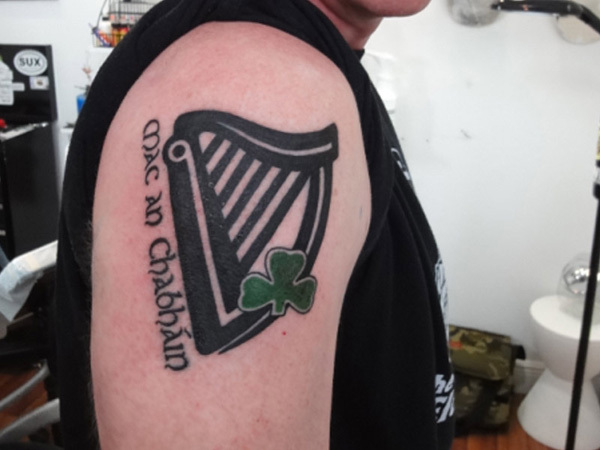 The Gaelic language also used in inking a tattoo as an essential part of Irish culture. 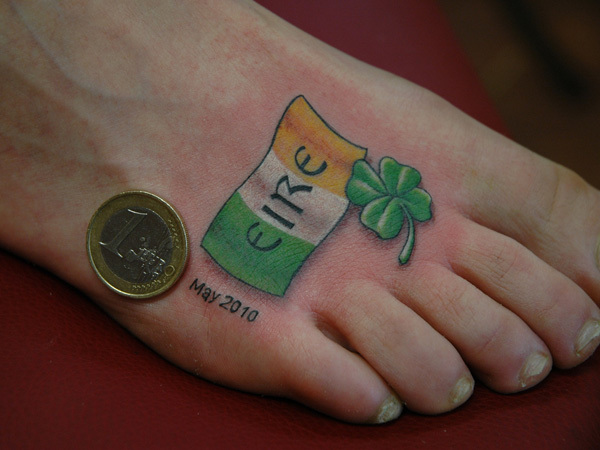 See below the most desirable Irish tattoos. 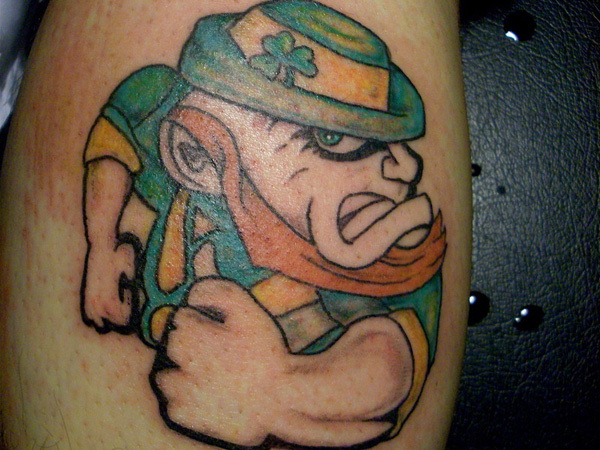 A leprechaun is the most frequent drawn tattoo in the Irish history. It tells the story of a fairy who takes the form of an old man, wrapped in green coat and hat. It has a red beard. 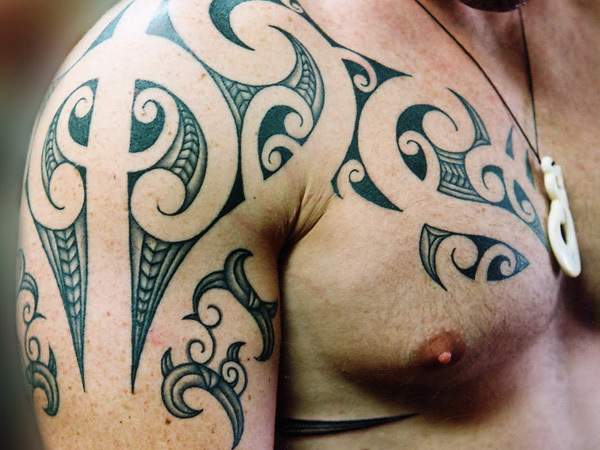 This tattoo is usually drawn by the people who relishes in taking part in mischief for this tattoo suggests the same deviltry image. 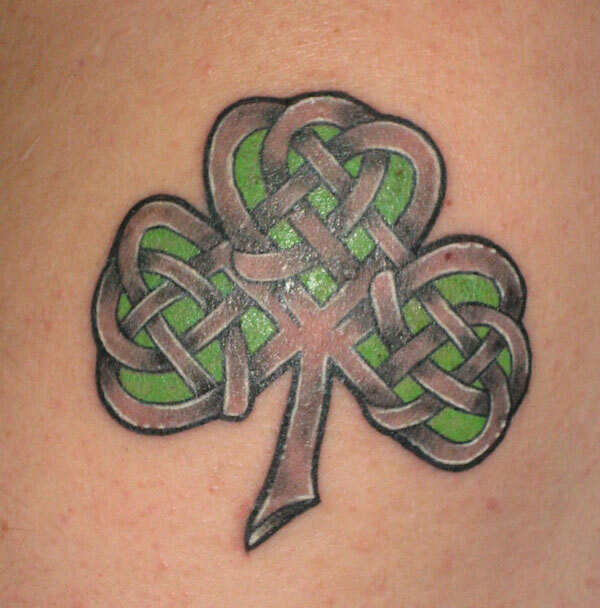 It is one of the most adopted Irish Tattoo, with the magical pentagram shape. 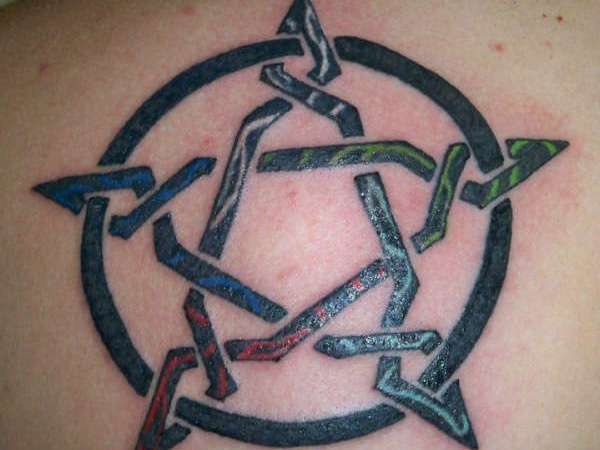 This design involves the most vibrant colors like red, green and blue filling the stylistic lines within the circle. 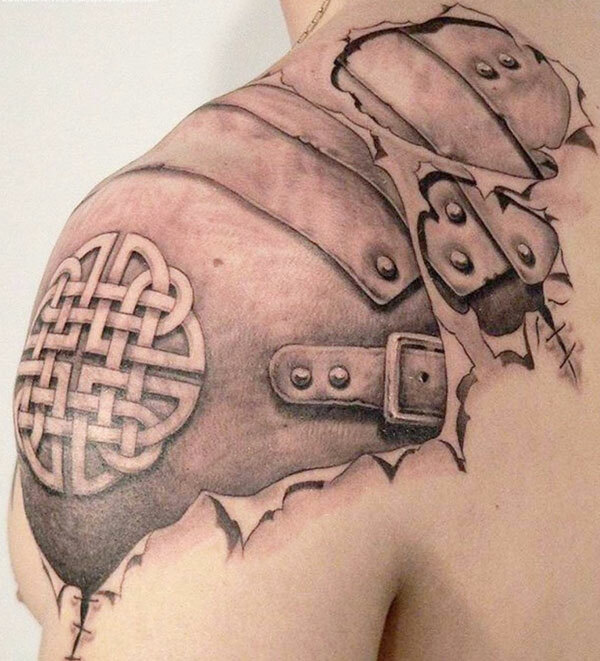 The Celtic tattoos are reckoned as religious symbol. 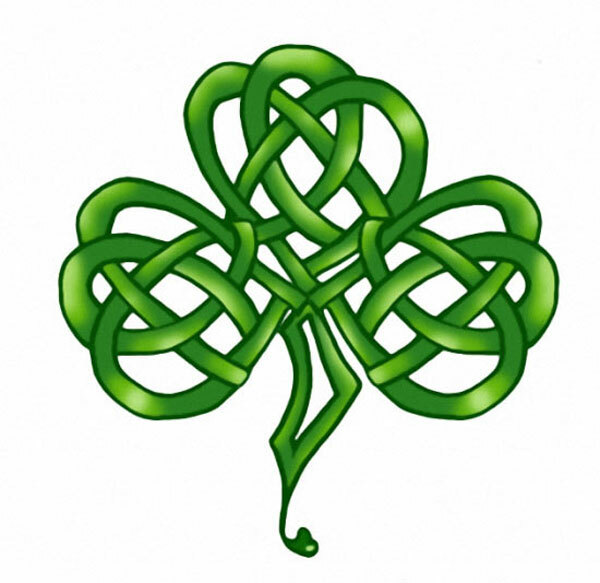 There are many varieties in Celtic: such as spiral, rays, three cornered, three legged and many more. 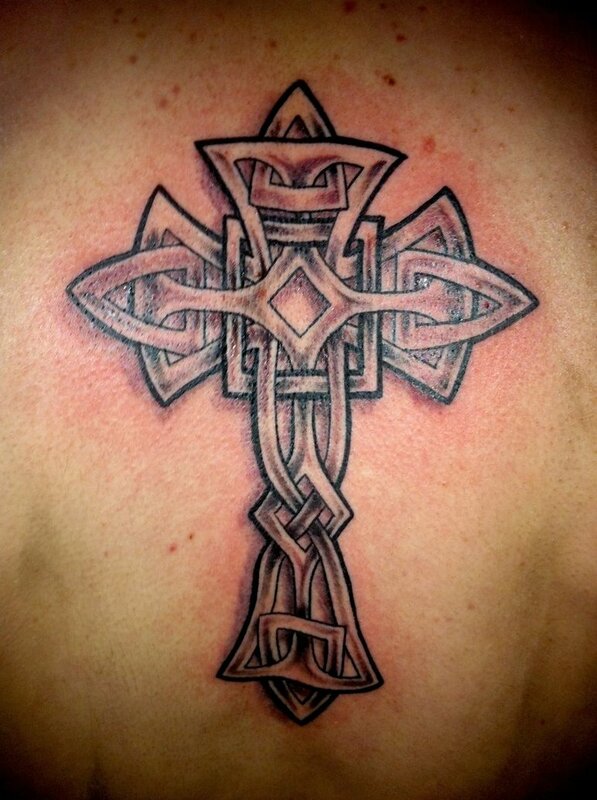 The most celebrated out of this is Celtic cross. It’s a symbol of spiritual love, infinity and inspiration. It shows a passage between the heaven and earth, also known as a key to success and a bridge to divine help. 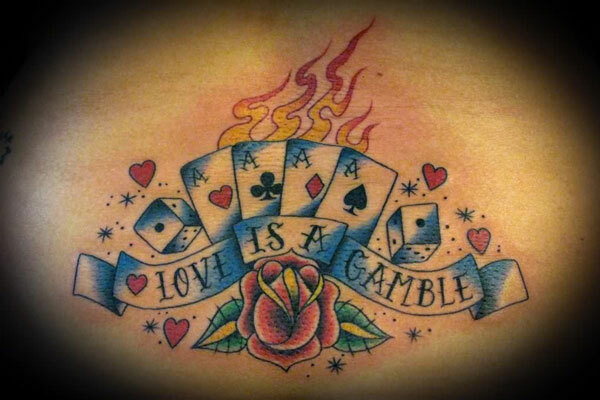 The dice card gambling tattoo features square block cards with green shades all around it. Blooming trees at the centre shows the Irish spirit of gambling. 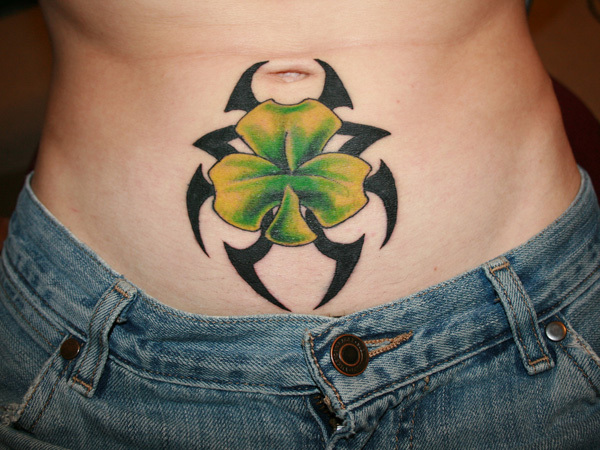 This small tattoo is considered as a symbol of luck in Irish culture. The trefoil of four leaves with mild green and yellow shades bestows good fortune according to their belief. 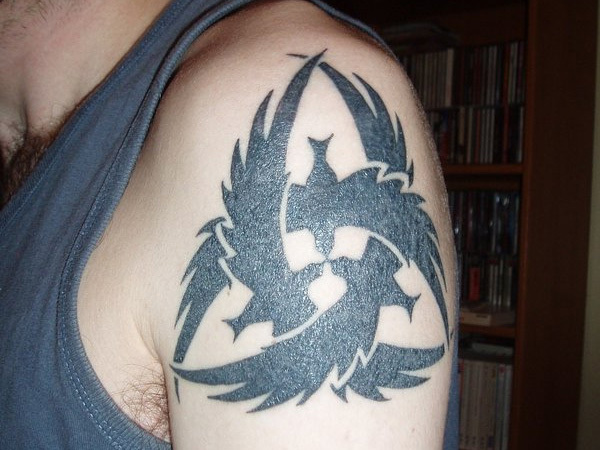 Another ornamental yet extremely intricate styled tattoo in shiny black is designed to decorate your forearm. 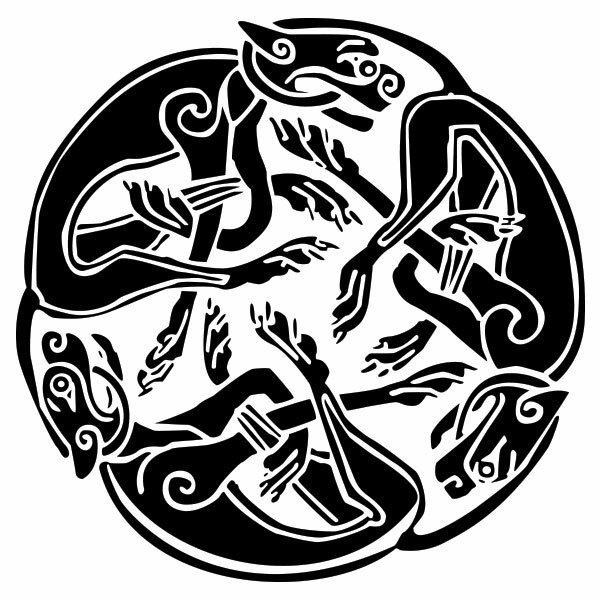 It shows three eagles like birds swinging in their flight. Their wings stand for freedom while this overall design symbolizes bravery and strength. 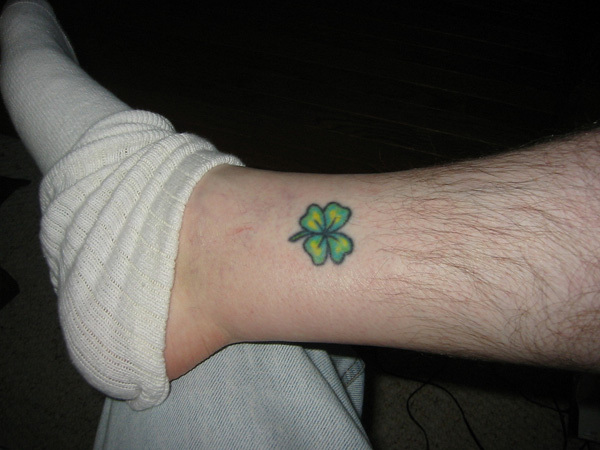 The three cornered heart shaped flower Irish tattoo, Shamrock has association with Holy Trinity. It has the green color in it which symbolizes holiness. 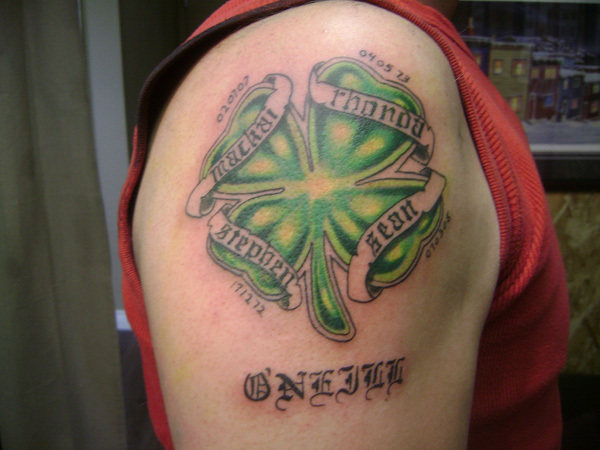 This tattoo is inked by those who regard St. Patrick, the one who brought Christianity in Ireland. A three flower plant which represents Father, Son, the Holy Spirit and stem represents god itself.